One of the very best things about visiting Columbia is all of the amazing dining choices. Of course, sometimes it’s too tough to choose just a few places during your time here! If you’re the type of traveler who likes to go where the locals go, you can’t miss Flat Branch Pub & Brewing in The District. This Columbia favorite has tasty food, delicious microbrews on tap and a beautiful outdoor space filled with plants and just enough shade to enjoy on even the hottest days. An afternoon on Flat Branch's patio should always include one of its fantastic beers. Also in The District, Bleu has been a local hotspot since its opening a few years ago. Now the restaurant is relocating to a new larger space once occupied by Boone Tavern. The new location will also come with a huge patio! What better place to sit and enjoy one of Bleu’s trademark rosemary lemonades. Nestled in the south part of Columbia, Sophia’s offers Southern European influenced cuisine in a relaxed atmosphere. With a fantastic tapas menu and extensive wine list, Sophia’s outdoor space is perfect for unwinding after a long day of shopping or sightseeing. If catching the game and sipping on an ice-cold beverage is more your speed, there are plenty of patios to pick from. The District is bordered by three college campuses, so there’s always an open seat for a casual outdoor experience. 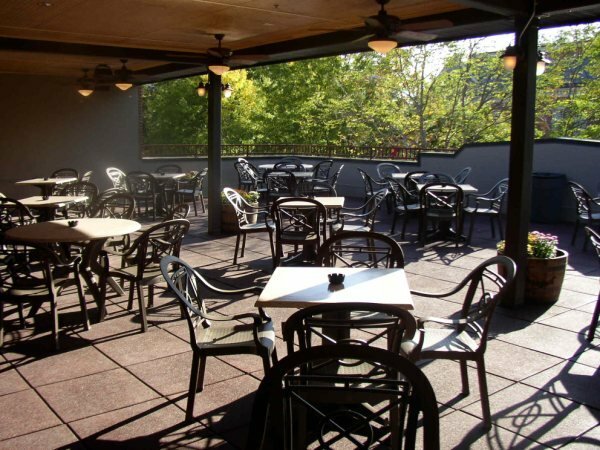 Pull up a chair on The Heidelberg’s or Harpo’s rooftop patios and take in the view or keep it on the ground at Willie’s or Bengal’s. The rooftop patio at The Heidelberg. 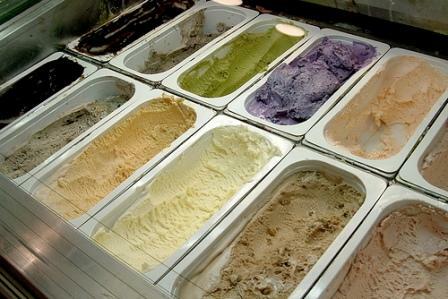 After a delicious meal, what you really need is ice cream, right? Of course. Sparky’s Homemade Ice Cream makes small batches of amazing ice cream in a variety of incredible flavors (honey lavender, anyone?). Grab a cone, have a seat outside and take in sights of downtown Columbia. An ice cream shop with some of the most unique art ever? Yes, please! If a post-dinner movie is more your style, take a stroll over to Ragtag Cinema, Columbia’s independent movie theater. Enjoy a drink on the patio before you enjoy your film and don’t forget to sample Uprise Bakery’s delicious offering. So if the outdoors are your thing in that you enjoy a nice afternoon or evening on a patio, check out all of these spots…you’ll have to decide on your favorite for yourself!